The Army’s top uniformed IT officer said he wants to develop an ambitious plan in the next year that would move more than 2,000 Army applications to the cloud by 2023. Lt. Gen. Bruce Crawford, the Army’s CIO/G-6, said in an Oct. 8 interview with C4ISRNET that taking advantage of cloud technologies is one of his top priorities in the new fiscal year. “I want to be able to tell you that I can look in the eyes of the leadership of the Army and say ‘Over the next four years, I want to put 25 percent of your 8,000 existing applications in a cloud-hosted environment. And I created a process that allows us to do that and it’s in support of, and synchronized with, what the DoD is doing with JEDI effort,' ” Crawford said during the Association of the U.S. Army conference. The Joint Enterprise Defense Infrastructure contract, commonly referred to as JEDI, is a multibillion-dollar initiative to create a departmentwide cloud computing system. Dana Deasy, the department’s chief information officer, is leading the effort. While each of the services already use the cloud to varying degrees, service leaders are working to create a more cohesive approach. Microsoft announced that it will be enhancing cloud offerings that meet some of the highest government security requirements in the coming months. Crawford said he also intends to spend the next year focusing on improving identity management technologies, such as those regularly associated with the common access card, and on ways to help evolve artificial intelligence capabilities. But he expects the cloud, particularly the tactical cloud, to stay atop his to do list. “What are we going to do in terms of the cloud and way forward,” he asked. Leaders overseeing the Army’s network modernization, including those from the Army’s Program Executive Office Command Control Communications Tactical and Network Cross Functional Team, have similarly made the tactical cloud a priority. In August, the organizations hosted an industry day in Raleigh, North Carolina, to help better understand how industry could help with the transition to the cloud. In particular, the Army wants to create a common operating environment that would allow soldiers from the command post to the vehicle to dismounted patrol to access the same information and to do so quickly. Crawford sees a similar value and said a tactical cloud will help make soldiers more mobile. “Being able to aggregate that data. Not having to take servers to the battlefield with them. Being able to give them the ability to be lighter and more mobile and access that data from anywhere they are on the battlefield. It’s pretty powerful in terms of increasing their mobility,” he said. 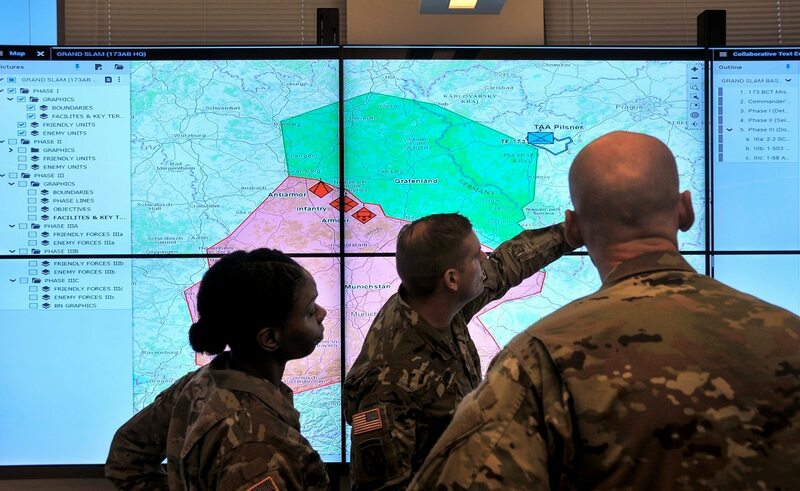 Currently, the Army uses several disparate mission command systems that run on their own proprietary systems. The Army’s plan is to shrink their reliance on these systems and instead run them as applications via the cloud. Moving more applications to cloud-based technologies would allow the Army’s IT teams to get rid of expensive, power-thirsty and often cumbersome infrastructure. The Army currently has more than 1,000 data centers, essentially the giant server farms that store the information Army soldiers and commanders need. Senior Army leaders have said they want to have fewer than 300 data centers by 2022. To achieve that goal would require a major transition to the cloud. The Army currently operates roughly half of the department’s data centers. The service is about one-third of its way toward congressional goals to shutter those centers and instead rely more on the cloud. Army leaders have listed the characteristics they want from a tactical cloud to include a modernized infrastructure that will help consolidate data repositories, common software and hardware platforms, enterprise systems that will enable tactical public key infrastructure, endpoint security, and a reduction of bandwidth.